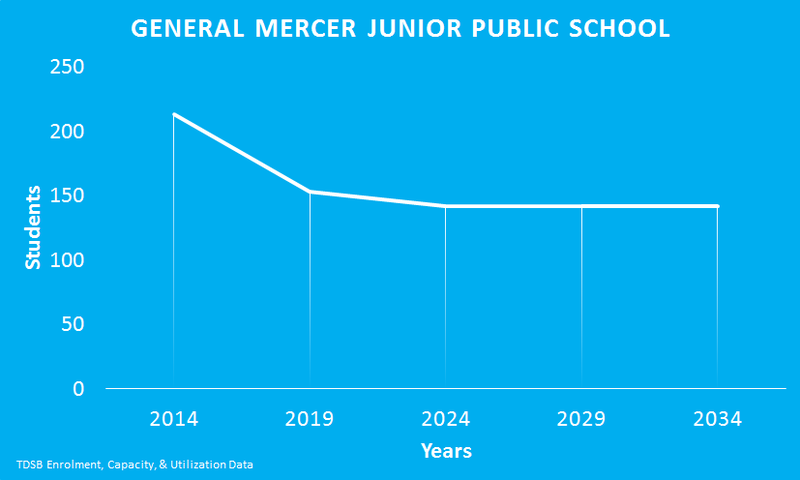 The TDSB projects that General Mercer Junior Public School’s enrolment will decline over the next 20 years. General Mercer Junior Public School is part of the Model Schools for Innner Cities Program. The school also has Home School and Intensive Support programs, and provides classes to support students with Developmental Disabilities and Autism.